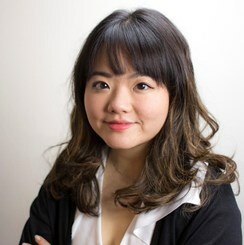 Anica HeeYun Lee, holds a Bachelor of Music in Vocal performance and in Music education from Eastman School of Music. She is a winner of the Asian American Music Society where she had an opportunity to perform at The Kennedy Center. She has numerous experiences on stages in concert and opera performances. Her opera roles include Barbarina (Le Nozze di Figaro) and Fortuna (L'incoronazione di Poppea). In addition to being an accomplished singer, Ms. Lee is an experienced pianist that worked with students from all different levels. Ms.Lee loves to teach students of all ages and abilities. She believes that learning music should be fun and enjoyable, where it is her mission to guide and provide appropriate tools educate musicians who will always have a lifelong passion for the art no matter their long-term goals. Request Lessons with Anica today!